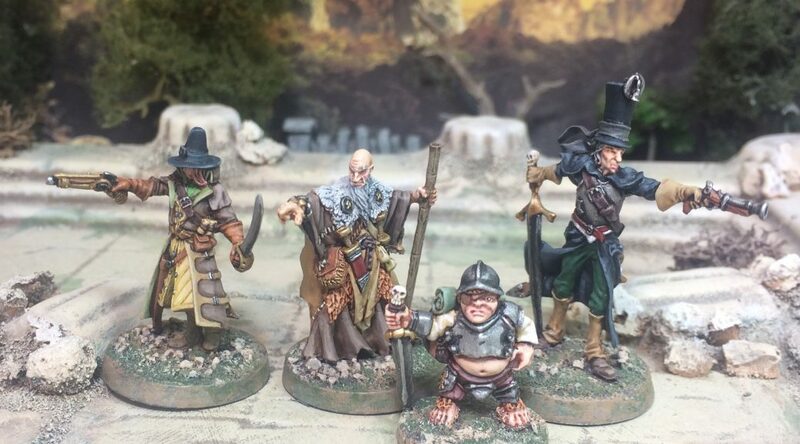 Group shot of the humanoid size minis. 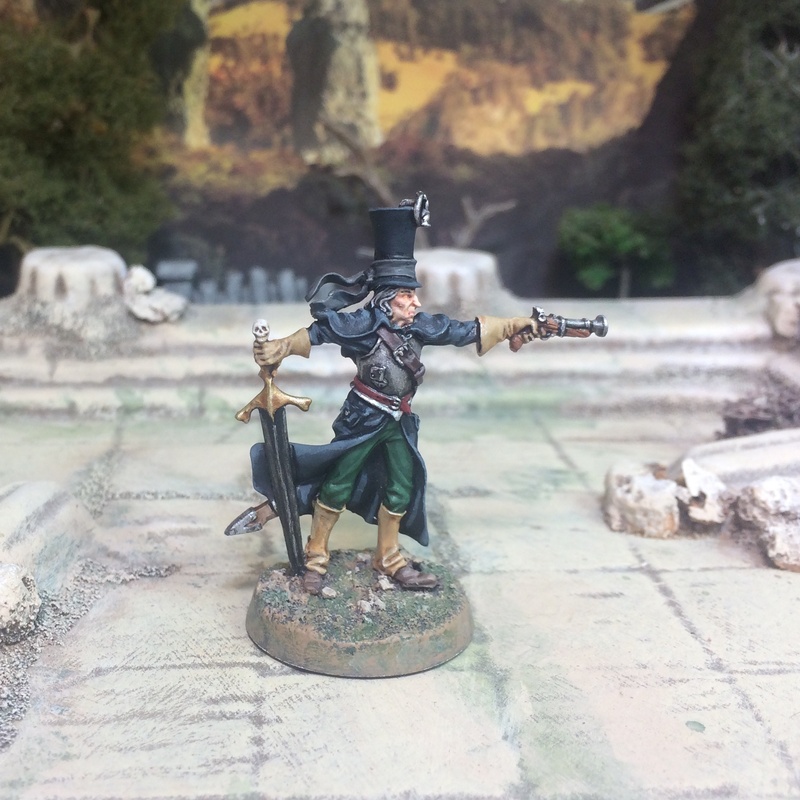 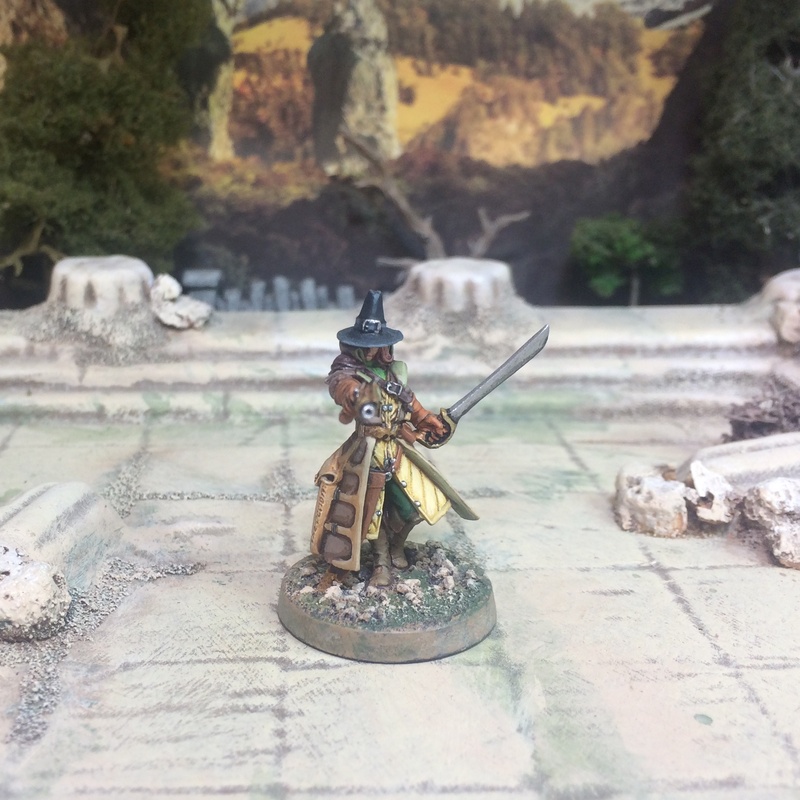 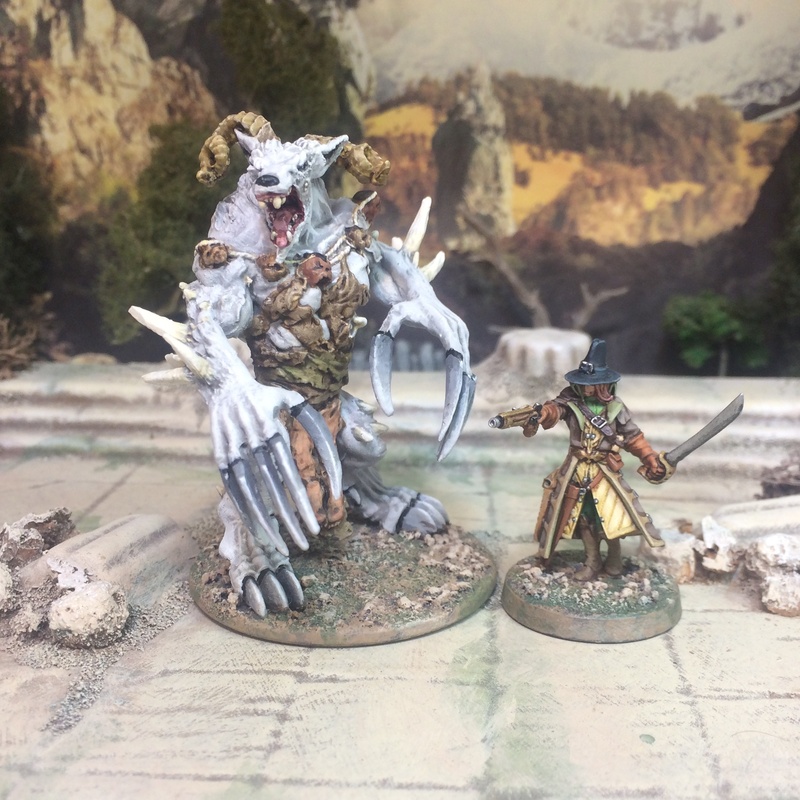 This is “Salome Kohn” from Hasslefree Miniatures. 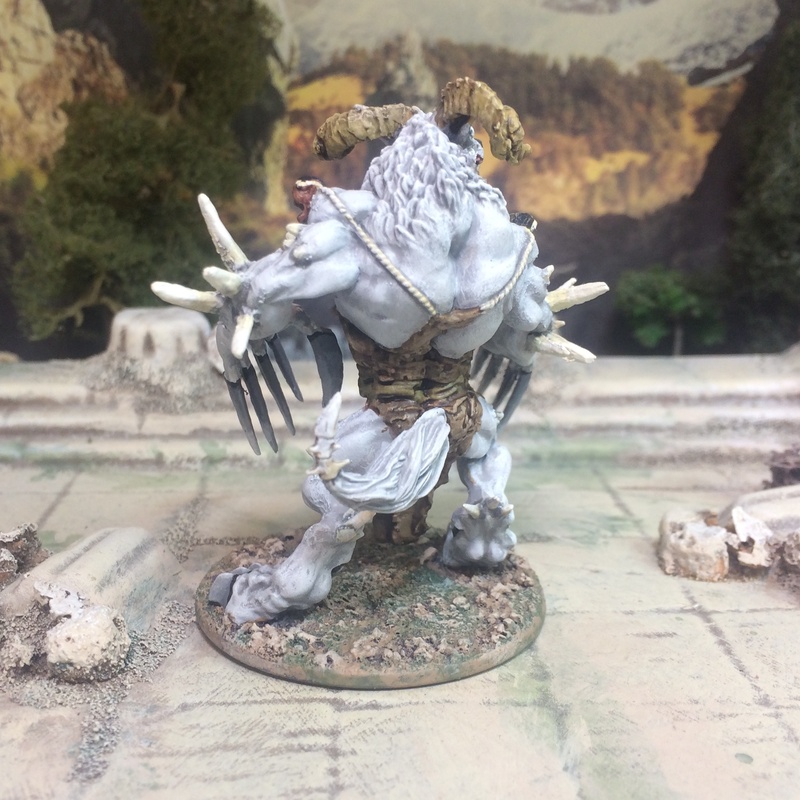 This is “Syth Mornis” from the Rackham Cadwallon range. 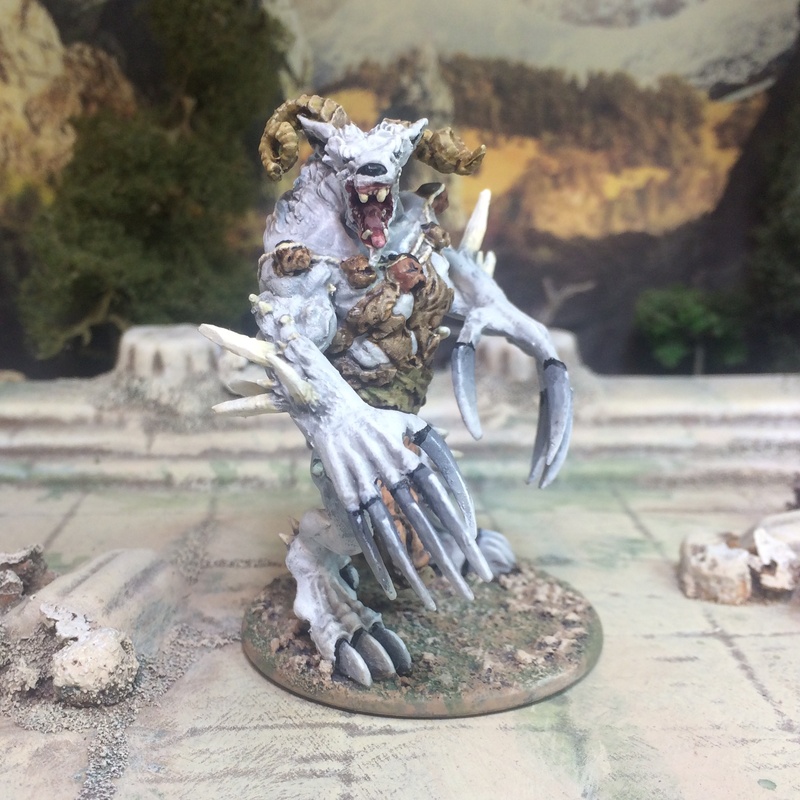 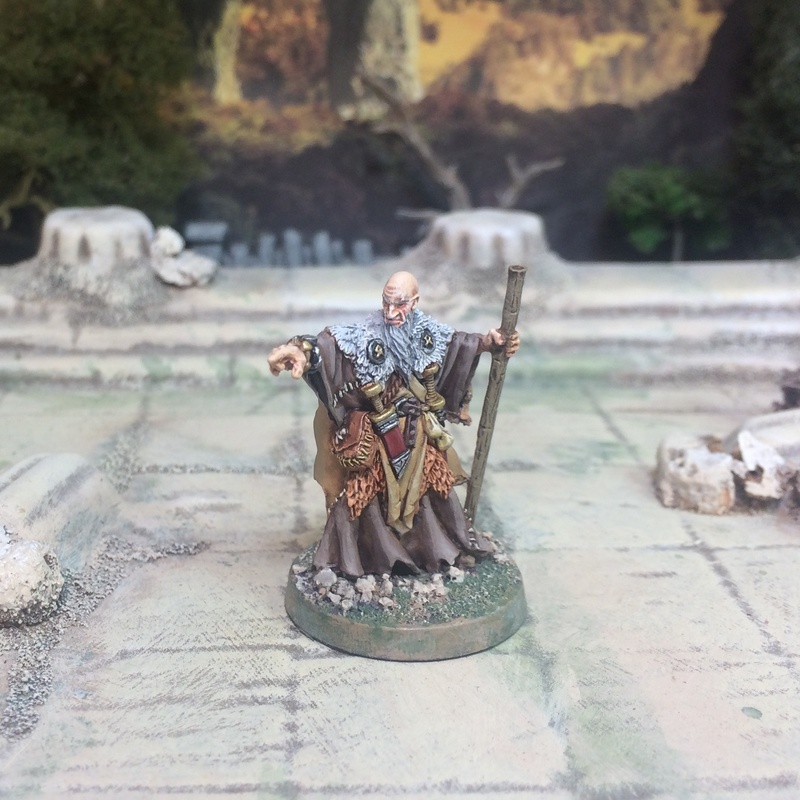 Probably my favourite of the bunch, this is “Old Holvand” also from Hasslefree Miniatures. 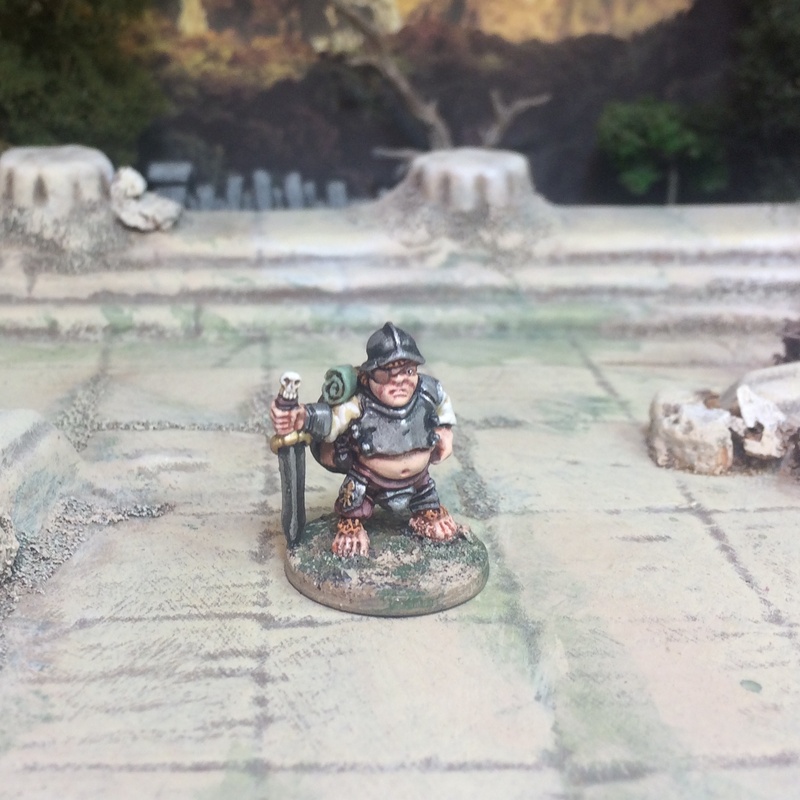 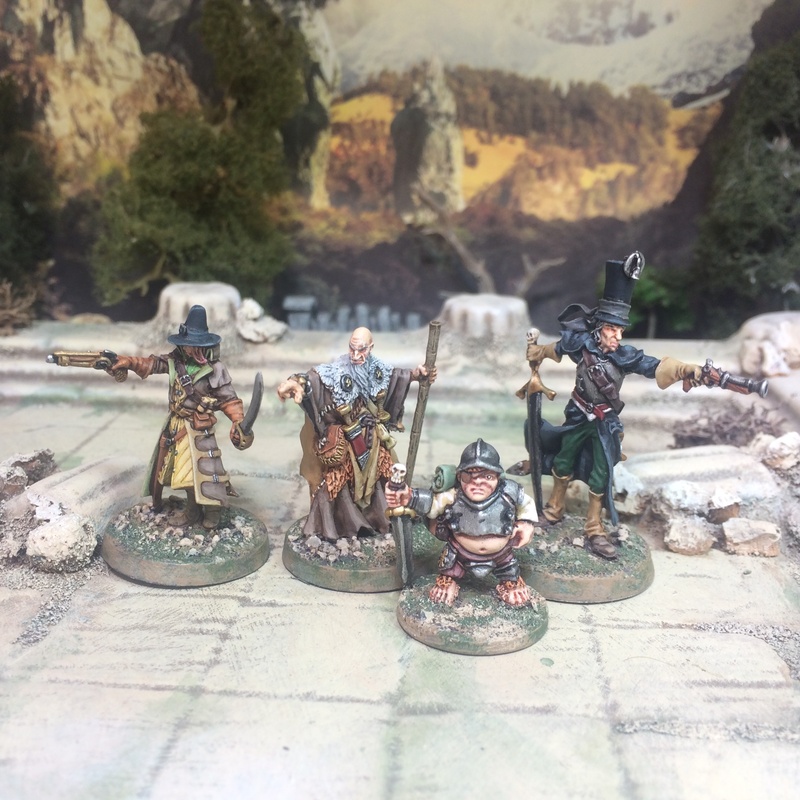 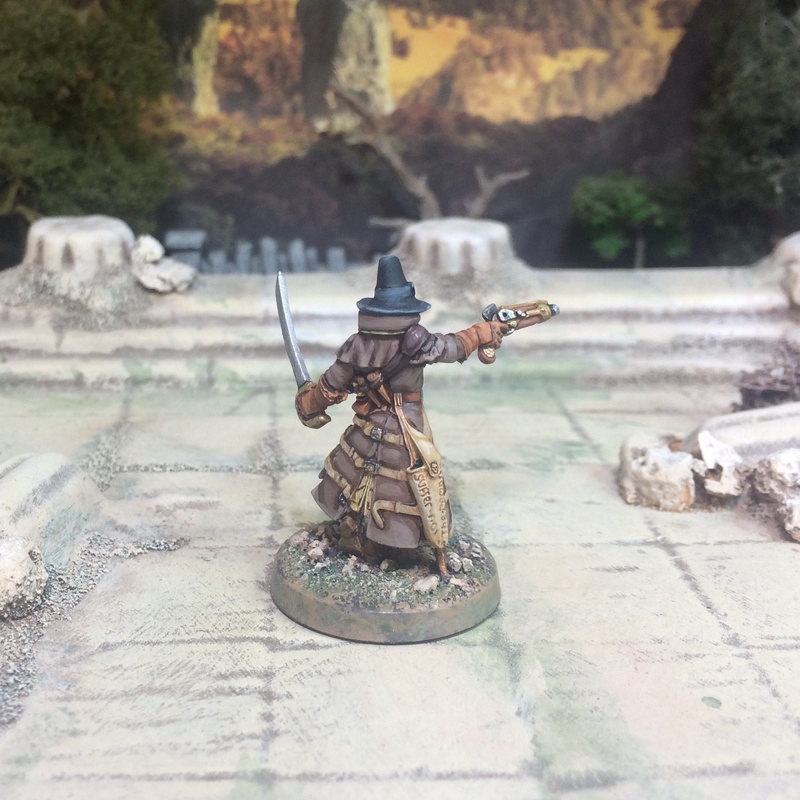 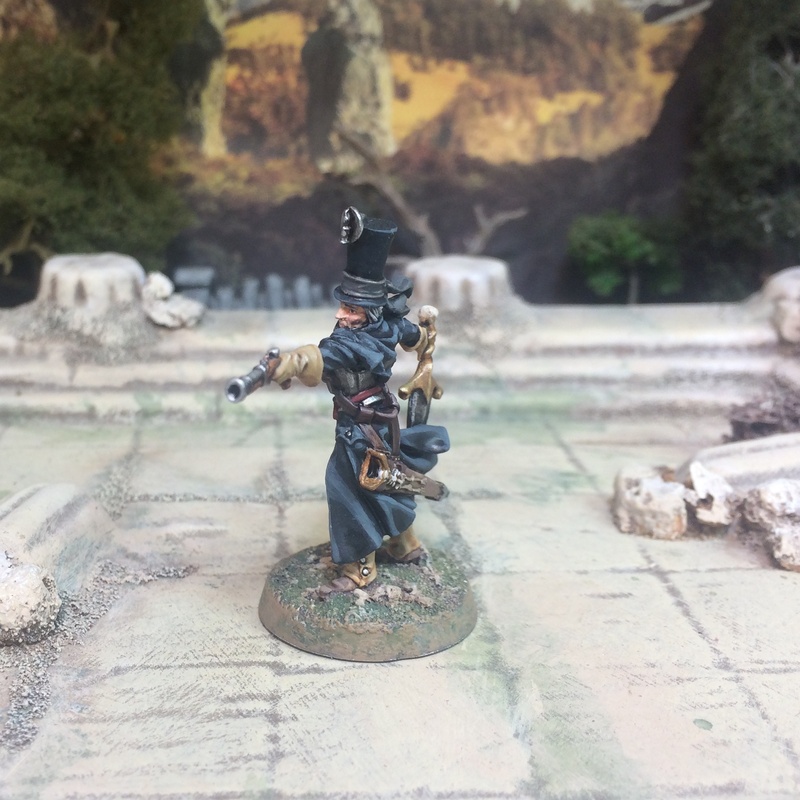 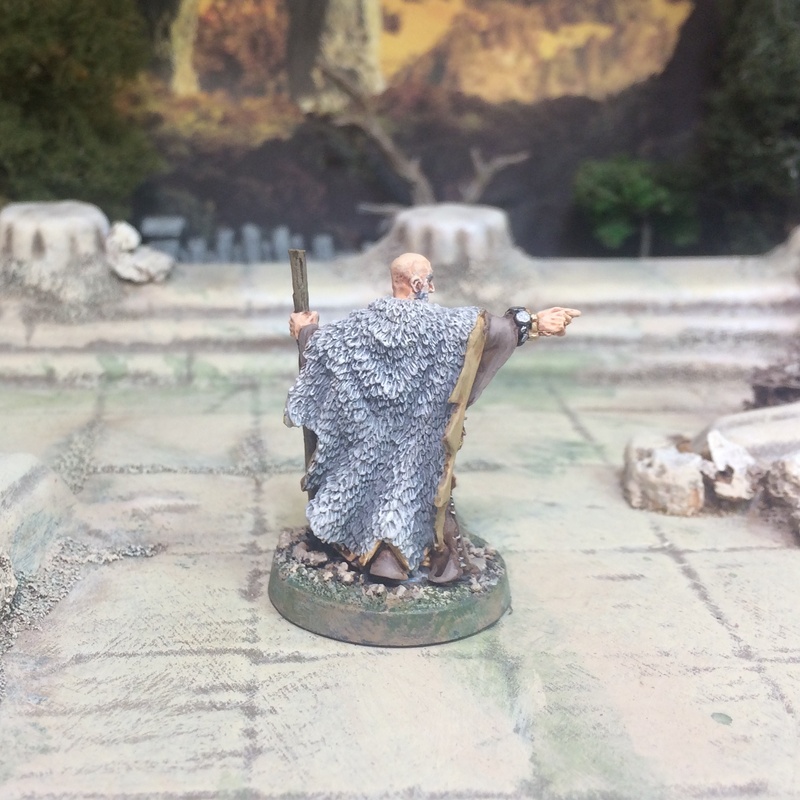 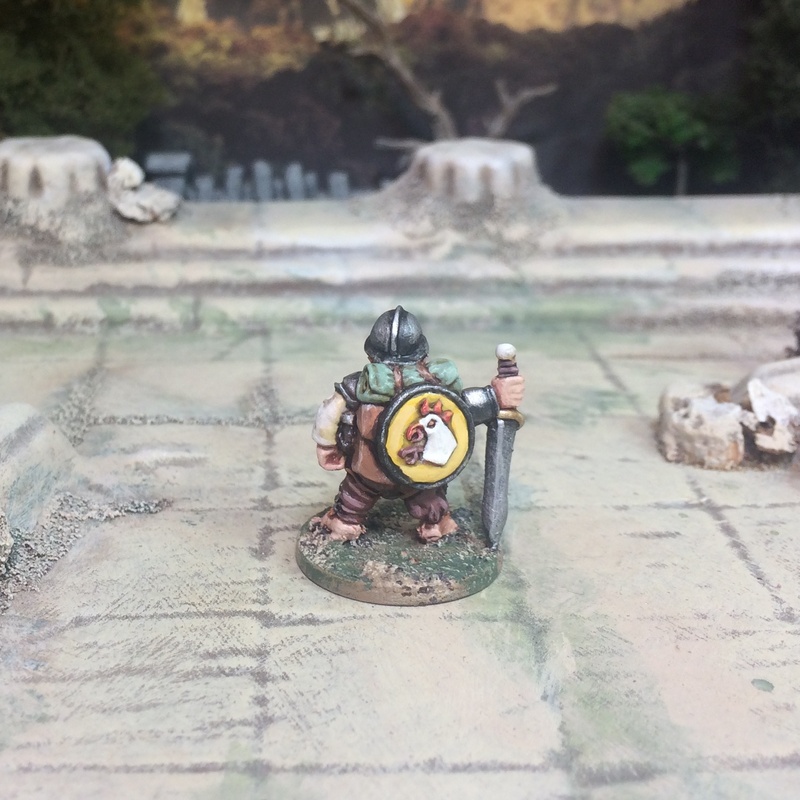 And finally, but by no means least (except in terms of height) an adventuring Halfling from Oathsworn Miniatures – sadly no long in production – Mad Tom, Halfling Mercenary.